How do you like Chuck, Axe, and Wendy teaming up during the fourth season of the Billions TV show on Showtime? As we all know, the Nielsen ratings typically play a big role in determining whether a TV show like Billions is cancelled or renewed for season five. Unfortunately, most of us do not live in Nielsen households. Because many viewers feel frustration when their viewing habits and opinions aren’t considered, we’d like to offer you the chance to rate all of the Billions season four episodes here. 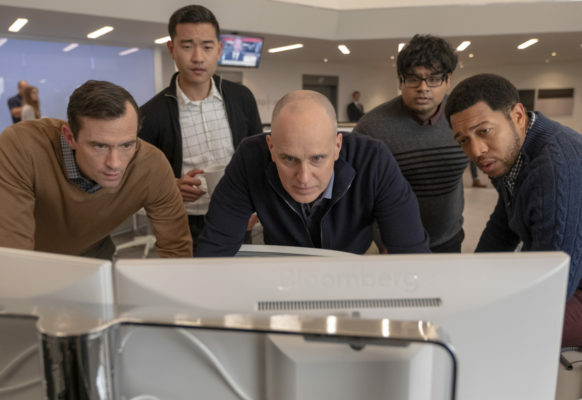 A Showtime finance and legal drama, Billions stars Paul Giamatti as Chuck Rhoades, Damian Lewis as Bobby Axelrod, and Maggie Siff as Wendy Rhoades. The cast also includes Toby Leonard Moore, Asia Kate Dillon, David Costabile, Condola Rashad, Kelly AuCoin, Jeffrey DeMunn, and Malin Akerman. John Malkovich, Clancy Brown, Samantha Mathis, Kevin Pollak, Jade Eshete and Nina Ariandal are among the guest stars this time around.